2016: not a great year. I think we can all agree on that. One of the relentlessly bright spots, as usual, was the refuge and joy I found in reading. While I didn't read as many books as last year (33 versus 39) I'm happy with my final tally. I read widely. I read diversely. I read a number of books in translation. I read (almost) every book club pick. In these small ways, it was a good year. My trends from last year persist. Out of the 33 books I read, most of them were written by women. A third of them were penned by POC. Two-thirds of them were novels. 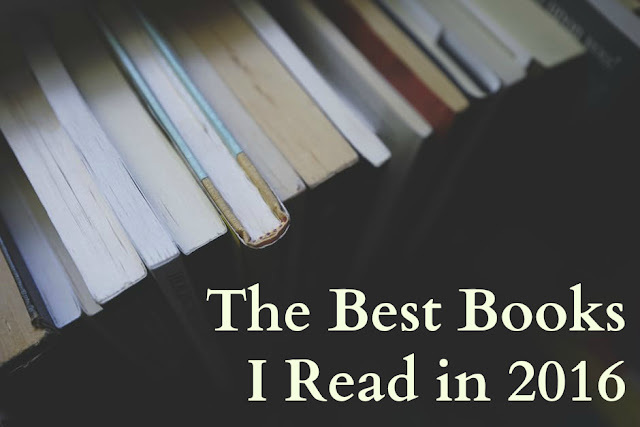 When I was thinking about this post, I felt a twinge of disappointment, because I couldn't think of a book from 2016 that truly knocked me over. To be fair, I read both A Little Life and Fates and Furies last year, so the competition was stiff. When I started going through my spreadsheet, however, I realized there were a number of books I loved, but that they were more a slow burn rather than a raging fire. Still, they kept me warm. Below are some stats and my made-up-on-the-spot superlatives. Special thanks to the friends, publishers, reviewers, and literature lovers who led me to such wonderful books this year, and especially to the authors who wrote them. I honestly don't know what I'd do without you. 5 in January. I always start the year off strong! A single book in both June and October. I guess I was busy back then? Kitchens of the Great Midwest, by J. Ryan Stradal. Connected short stories linked by a famous chef and her favorite foods. The Sellout by Paul Beatty. Intellectually, I know it's a brilliant and important book. Emotionally, I'm just not a huge fan of satire. All is Forgotten, Nothing is Lost, by Sam Chang. Proof that a brief, quiet book can pack a serious punch. The Turner House, by Angela Flourney. I love books about families, and the Turners did not disappoint. Goodnight, Beautiful Women, by Anna Noyes. Oh, what sentences! Mr. Splitfoot, by Samantha Hunt. The fact that we broke out the Ouija board for our meeting might have helped. Swing Time, by Zadie Smith. This story took a lot of turns but never lost its footing. And yes, that pun was intentional. The Vegetarian by Han Kang. I WAS NOT PREPARED FOR THIS BOOK. Boy, Snow, Bird by Helen Oyeyemi. I loved this book up until the last few pages, and then I just felt weird about the whole thing. The Neapolitan Novels by Elena Ferrante. I read all four of them toward the beginning of this year, and they've stuck with me. I don't think I'll ever forget Lila and Lenu. The Mothers, by Brit Bennett. My favorite books are about broken hearts, fractured families, and the search for home. This book had all those things, and was also a delight to read. I can't wait to see what Bennett does next.